One of my favourite things about going to BC every summer is bringing back fresh fruit, and peaches are without a doubt my favourite! I always make my favourite peach pie and just this summer I started making peach jam and canning peaches! Needless to say, I’ve used dozens and dozens of peaches and unless I eat them fresh…I needed to remove ALL the peels from the peaches. 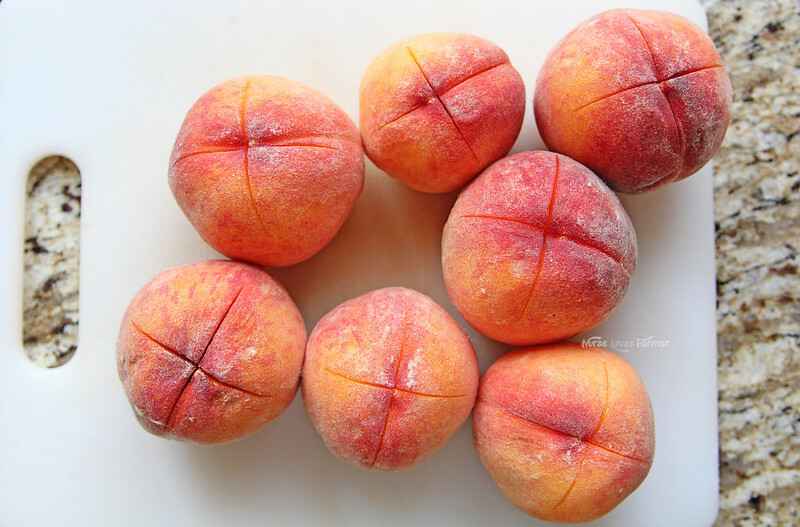 I did find that peaches that were overripe or particularly bruised were harder to peel and I had to gently scrub them off underneath running water, regardless, it’s how to easily peel peaches! Hope you use this great kitchen hack!